Gang Wars mode to include Payne-narrated story. Third-person Rockstar shooter Max Payne 3 features Gang Wars, a "narrative"-based multiplayer mode involving mobs met in the game's story. 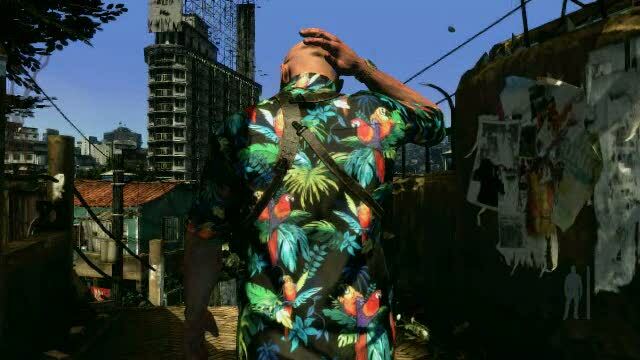 Max Payne 3 attempts to mix the tale told in the game's campaign with its multiplayer offering. "The narrative element of Max Payne 1 and 2, and what we're doing with 3, is obviously very strong," lead designer Charlie Bewsher told IGN. "So when you starting thinking about the multiplayer version of Payne I think you've got to address that part of the game. But there's also a narrative unique to any multiplayer game, though - you sort of get this drama that unfolds." One example given was players beginning a match as a drug deal goes wrong, with one team tasked with collecting bags of cash while under fire. So far so normal, but the next round would then build on the events of the previous one, for instance by adding a bounty to the head of the last round's best player or setting a goal to fight back by winning back turf from the dominant team. The following round, any new territory gained might then need to be searched to defuse booby-traps and bombs, and so on. Each rounds' rules are laid out by a voice-over from Max Payne over comic book visuals of the tasks ahead. Completing objectives rewards XP, which then unlocks Bursts: perks such as Payne's trademark bullet time manoeuvre. "Sneaky" marks you as friendly to the opposing team, while "Paranoia" causes the enemy see their teammates as foes.